Parable garden is very much a shared vision arising from individual journeys, shared convictions and insights about the potential for harnessing the outdoors, cultivation and creativity as a resource for creative teaching, discipleship and reflection in churches and schools. The Parable Garden team is a group of volunteers representing different denominations as well as areas of horticultural, educational, scientific, artistic and pastoral expertise. Our team is growing all the time. If you are interested in what we are doing or in getting involved please click here to contact us. 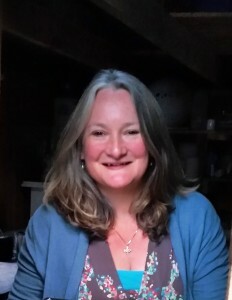 Caroline Steel, co founder of Parable Garden has been a church worker at Cornerstone Church, Headington Quarry for over twenty years involved in children’s ministry, co-leading house groups, teaching and pastoral visiting. 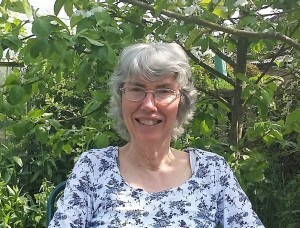 With a shared love of caring for God’s creation, Caroline, her late husband David, with others, established ‘Sage’, a Christian environmental group in 1990. Caroline has led walks entitled “Walk with the Creator”, combining the enjoyment of walks in the countryside with a reflection on the ways God reveals Himself through His creation. She enjoys gardening and encouraging others. She taught gardening on her allotment and previously ran a Green Club during her ten years as a science technician at Headington Middle School. Caroline originally trained as a conservation biologist, spending fifteen years working in butterfly conservation for the Nature Conservancy Council and the charity Butterfly Conservation. She now combines this area of expertise, and her love of gardening, with a passion for helping people grasp and remember some of the great teachings of Jesus relating to the natural world. Rachel Woods, co founder of Parable Garden is an educator, facilitator and author for schools, churches, diocese and NGO’s in enriching Christian distinctiveness, ethos, values, RE and Spirituality. Originally studying History of Art, she worked in museum education before training as a teacher in 2000. Drawing upon experience from roles in field-based education development for The National Trust for Scotland and A Rocha UK, as well as her ongoing work as a teacher, she project manages education development for Parable Garden and other NGO’s. Rachel has lived and worked in urban and rural communities in the UK and overseas, worshipping and serving within diverse church traditions and communities. Over twenty years engagement with worship and pastoral aspects of Christian discipleship informs her encouragement of people of all ages in exploring creativity and cultivation as tools for spiritual formation and community renewal. 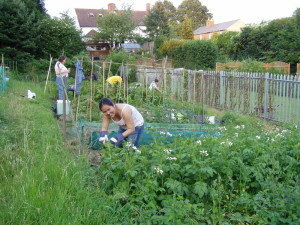 She enjoys facilitating creative quiet days and retreats for Parable Garden and other organisations. She is also a painter and sculptor.